150g alu-cups come in singles or trays of 12. Yarrah Organic Dog Food Senior is a healthy and wholesome meal made with 25% chicken/fish! The use of devil's claw, horse tail and rose hips can have a beneficial influence on your dog's joints and overall health. 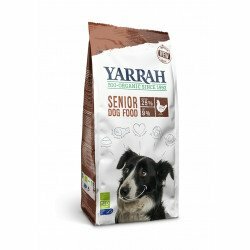 Senior is specially made for (average) dogs over 7 years. Available in 2 kg bags. 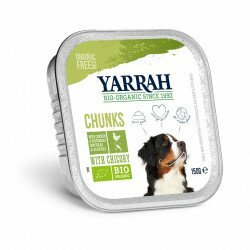 Now with 10% Extra Free while stocks last!! 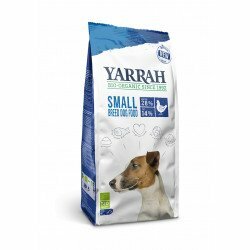 Yarrah Organic Dog Food Small breed is specially developed for small dogs (<15kg). 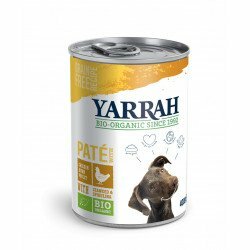 The combination of chicken and cereals makes Yarrah Puppy highly digestible and minimizes the chance of developing allergies and stomach problems. 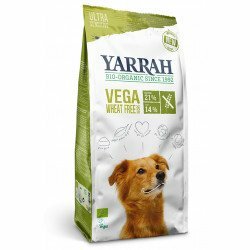 100% vegetarian/vegan and wheat-free, ultra sensitive dry dog food. 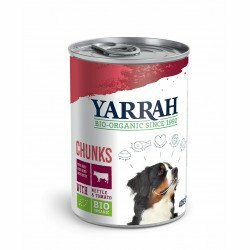 Ideal for dogs that have difficulty with animal proteins and wheat. 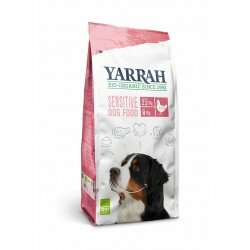 Available in 2kg and 10kg bags.